An Elgin Swarm – again! On Saturday last Allison Laws and Viv Hill went to the ‘Mayfayre’ to represent Moray Beekeepers at the Steiner School. It was an extremely blustery day with several of the tents blowing over – many tent pegs used thereafter! The Steiner school is privately owned and their MayFayre represented the school’s enjoyment of the Spring and early Summer. 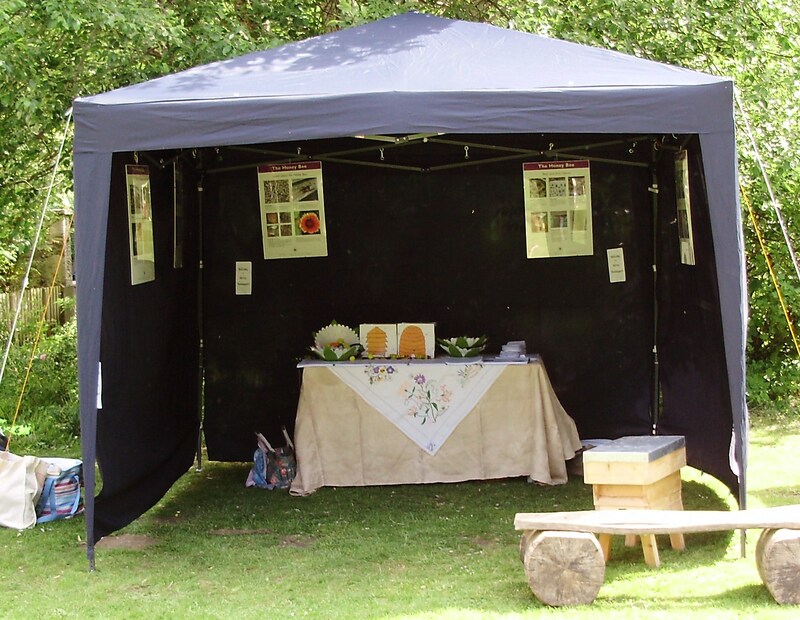 Our display was well received and I can clearly say that all who visited it were both interested in and very aware of the pastime of beekeeping and the problems which beekeepers are dealing with at the moment. 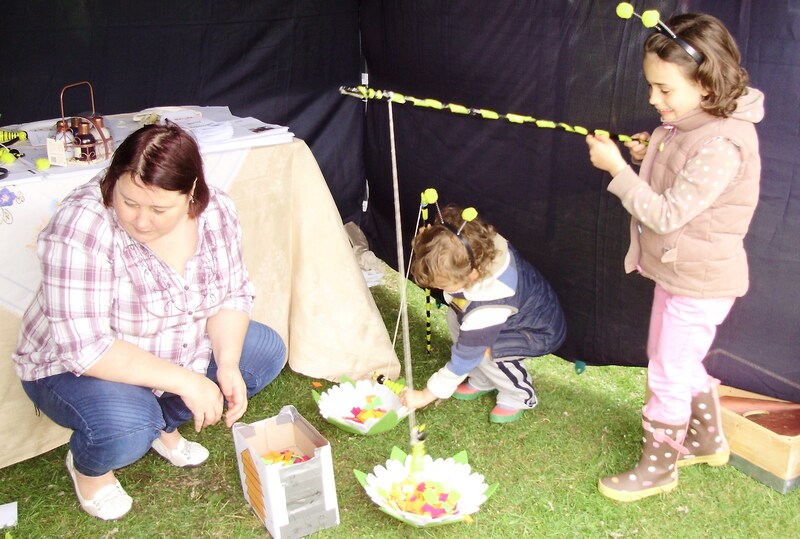 The children very much enjoyed our bees and pollen game and the adults were pleased to be given all the information about our association. Our youngest beekeeper Casper who attends the Steiner school and his father Michael were very much involved, especially Casper who may-pole danced, organised the raffle and was generally VERY busy. Whilst Alison and I were kept very busy with questions answers and the huge interest shown about the contents of a nucleus hive, especially the weight of a fully filled and capped frame of honey compared with one which only had foundation in it, we were also greatly entertained by may-pole dancing, folk on stilts, lots of singing and dancing and general jollity by all. It was a good day. Well done Viv & Allison in promoting beekeeping and Moray Beekeepers. I ve already had a lady on the phone from Forres wanting to come on next weekends Taster Day! Thank you for both your enthusiasm time and commitment!